A research team at Penn State College of Medicine will study universal school based screening of adolescents for major depressive disorder with the help of a three-year, $2 million funding award from the Patient-Centered Outcomes Research Institute (PCORI). Dr. Deepa Sekhar, associate professor of pediatrics, will serve as principal investigator. The study will take place in six public high schools in Pennsylvania and involve more than 9,000 predominantly minority, urban and/or low-socioeconomic-status students in grades nine through 12. In each of the schools, students in two of the four high school grades will be randomly assigned to be screened for depression with an established questionnaire, a universal screening group. Students in the other two grades—a targeted screening group—will go through their school year as usual, receiving screening and support through Pennsylvania’s state-mandated Student Assistance Program only if they’ve been flagged for possible depression. Depression and suicide are on the rise in children. Major depressive disorder episodes in U.S. adolescents increased by over 50 percent from 2008 to 2015, while suicides—which are often associated with mental health conditions—are now the second leading cause of adolescent death. Depending on doctors and other medical professionals to identify depressed adolescents has not been sufficient. The United States Preventative Services Task Force recommends universal depression screening for 12- to 18-year-olds, but only 2 percent of doctor’s office visits include the screenings. “Most teenagers don’t visit a primary care provider for routine medical care, so we’re not seeing the majority of adolescents who might benefit from the screening,” Sekhar said. Additionally, minorities and females are less likely to be screened or to receive treatment for major depressive disorder than their white, male counterparts. 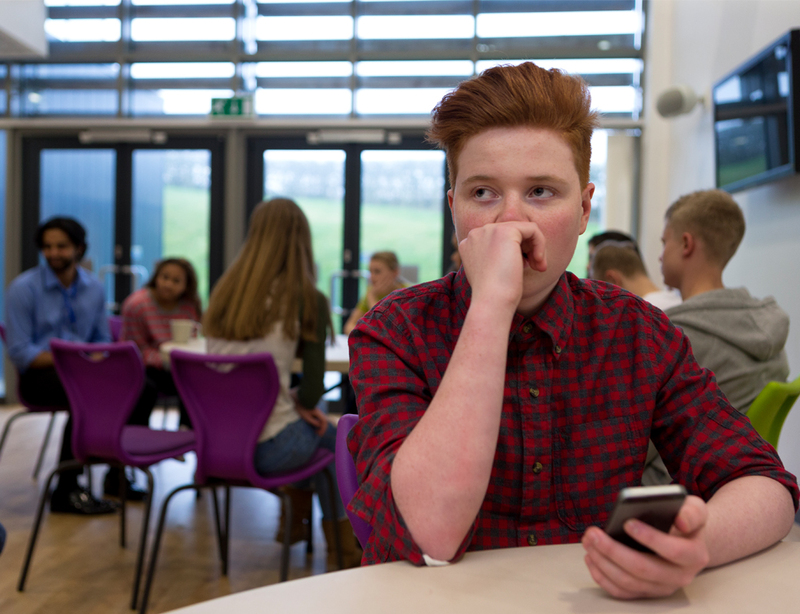 The researchers hypothesize that universal school-based screenings will reach more adolescents and increase the number who are screened, identified with major depressive disorder and engaged in treatment. In the first funding year, Sekhar’s team will work with students, parents and school staff to identify how the community views mental health in order to alleviate concerns about the program. They will also locate community-based mental health resources that can handle an expected increase in diagnoses. In the third year, after the screenings have taken place, the researchers will analyze the data to learn how universal screening versus targeted screening affected depression screening, identification and treatment engagement, as well as outcomes such as absenteeism, grade point average and graduation rates. The researchers will also meet with students, parents and school staff to get their feedback on the process. “I want to get a sense from the schools and communities about whether this was something that was valuable and sustainable,” Sekhar said. Based on the results and feedback, universal depression screening could one day be implemented statewide or even nationally. The researchers also recently received a three-year, $900,000 grant from the U.S. Health Resources and Services Administration for a related study of universal school screening of depression that will primarily focus on improving detection of depression among females and students in rural areas. Sekhar’s award has been approved pending completion of a business and programmatic review by PCORI staff and issuance of a formal award contract. PCORI is an independent, nonprofit organization authorized by Congress in 2010. Its mission is to fund research that will provide patients, their caregivers and clinicians with the evidence-based information needed to make better-informed healthcare decisions.